FREE AND FAIR ELECTION IN 2015: HOW FEASIBLE? 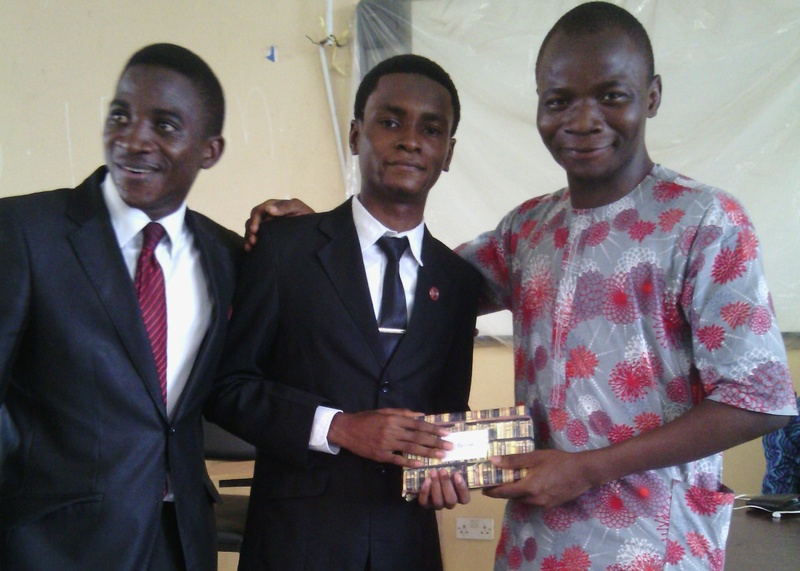 THE WINNING SPEECH DELIVERED AT THE FINAL ROUND, IN-HOUSE SPEAKING CHAMPIONSHIP, ORGANISED BY THE LITERARY AND DEBATING SOCIETY, FACULTY OF LAW, UI. Date: 14th Day Of March, 2014. It is indeed a historic day. A day that has been anticipated for four long years. A day that has generated much dispute and quarrels. A day, the only day, that sovereignty truly belongs to the people. On this day, we see people: male and female, juvenile and senile, children and their parents, the leaders and the led; everybody marching to the same location, harbouring the same intention, to engage in the same action. The day is the 14th day of February, a Saturday, the Election Day. And coincidentally, Valentine’s Day. Good afternoon friends, brethren, ladies and gentlemen. My name is Adebajo Adekunle Adefisayo, and I am here at this event to share my thought on the question: FREE AND FAIR ELECTION IN 2015, HOW FEASIBLE? Let us cast our minds back in history. On June 12, 1993, millions of Nigerians voted in an election that is widely acknowledged as the best in the history of the nation. The elections were properly planned and conducted. There were pre-election debates, making it easy to know the candidate who is truly brilliant and the one who only has a charming smile. People voted and when it was obvious that MKO Abiola would be declared winner, his rival, Bashir Tofa was said to have sent him a congratulatory message, showing a spirit of comradeship. Records have it that has the results were being declared, prices of goods and services were dropping. Some businessmen even refused to be paid because they were glad that hope has finally come to the people. Unfortunately, this memorable election was annulled by the then Military ruler, Ibrahim Babangida. Fast-forward to 20 years later, elections in Nigeria are nothing to write home about. It is in Nigeria that politicians tear one another’s posters all because of power. It is in Nigeria that you will see a presidential aspirant being invited for a debate by the people and rather than grace the invitation, he decides to be grooving with a popular musician. Yet, he still wins. It is in Nigeria that you find party loyalists at polling booths offering ₦500 and cups of Garri to voters to ‘buy’ their mandate. It is in Nigeria that thuggery during the electioneering process is a normal thing. When thugs do show up at a polling unit, the voters gladly welcome them asking why they came late. In short, 20 years later, elections in Nigeria are increasingly decreasing in credibility. They are only getting better at getting worse. But then, Professor Attahiru Jega has (has contained in an article of the Sun newspaper published Tuesday, March 11) promised us that new machineries are in place to prevent rigging in the coming elections. It will not be business as usual. Permanent voters’ cards will be distributed without which a person cannot vote. On getting to the polling unit, a machine will be present to verify the voter’s passport and fingerprint, making it impossible for politicians to buy voters’ cards. In conclusion, I would say: Let us be positive thinkers. A positive thinker sees the invisible, hears the inaudible, feels the intangible and achieves the impossible. Let us be positive thinkers, and in essence great achievers, by seeing that freedom and fairness in the 2015 election is much feasible.